This is an overview of some of our patient before and after photos. As part of your consultation with our practice, we will have the opportunity to show more of our patients’ results. When you schedule your appointment with us, mention our web site and receive a complimentary consultation for cosmetic surgery. To view photos, please click the case links below each category. 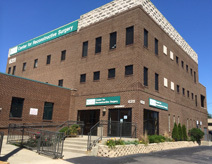 The Center for Reconstructive Surgery James D. Schlenker, M.D.